Holiday Card Pre-Sale Ends Today! Just a reminder, my Holiday Card Pre-Sale ends today! 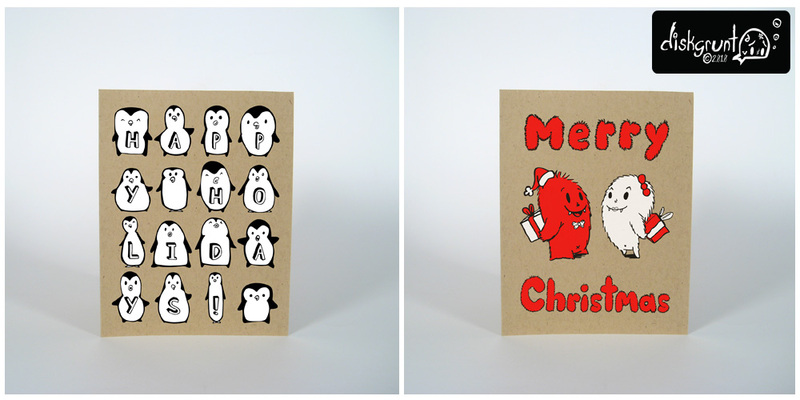 Order now from my Etys.com shop and save up to 50% on the Penguin Happy Holidays card, or the Monster Merry Christmas card! 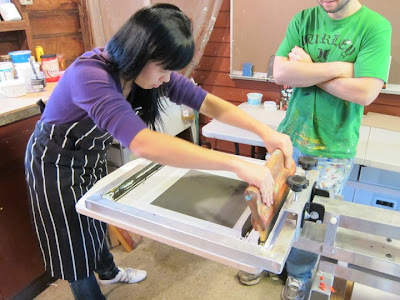 This past weekend The Pull was lucky to have Angela Sun come and use our studio to help create her Lady In Hat prints on muslin and a striped cotton fabric. 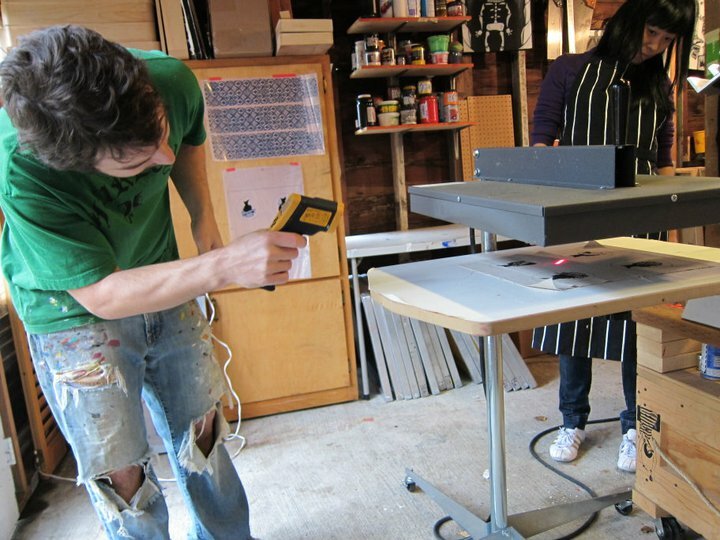 When you use our D.I.Y Custom Screen Printing options to pull your own prints, you'll find your screen exposed and on press waiting for you to print when you arrive. We mix the inks, and give you a demo on how to proceed. 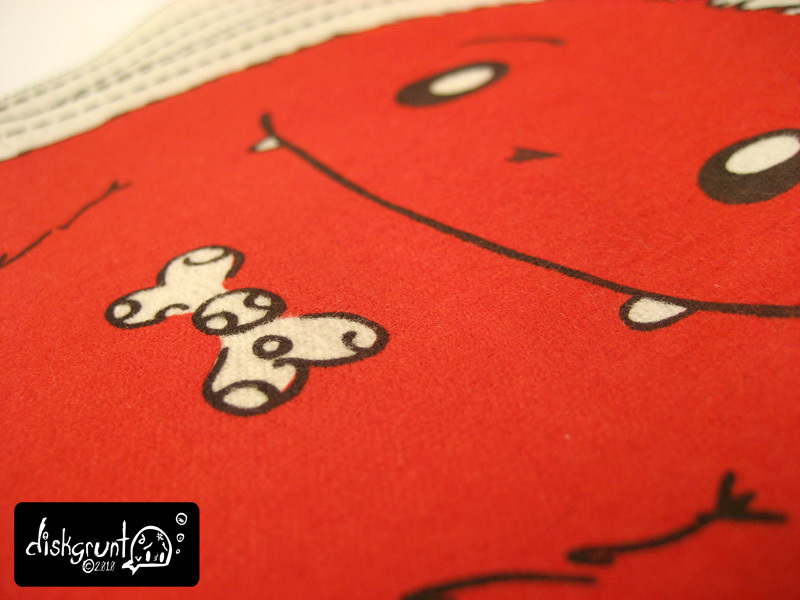 Then we are there with you through the printing process to make sure you get the best prints possible. Here I am running the flash curer to properly set the inks while Angela continues to run prints on the press. 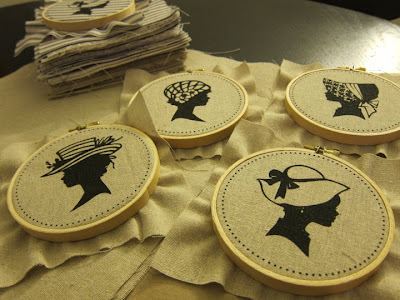 The end result, these lovely 6" x 6" Ladies in Hats wall art pieces. Angela will be offering these in her Etsy shop soon. I'll update this post with a link as soon as I have one. If there's something you'd like to print, please check out the D.I.Y Custom Screen Printing section of my website and Together, Let's Make Something! Update!!! - As members of my email list should be aware, Angela has opened her Etsy shop and is not offering these lovely items for sale! 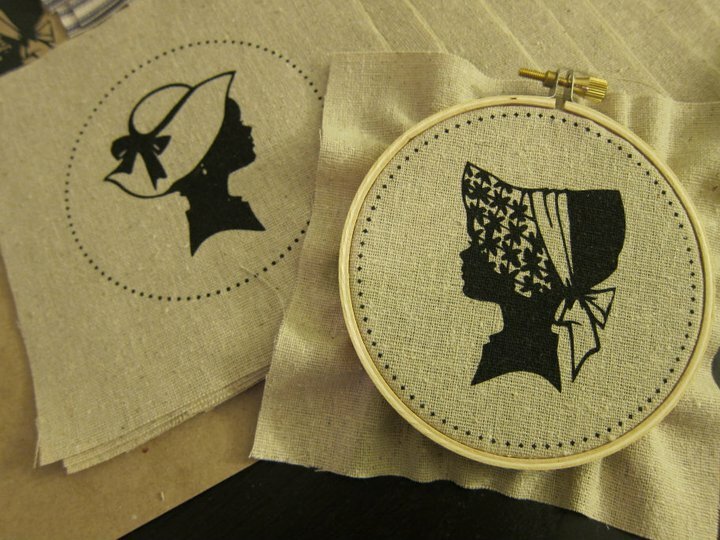 Just a sneak peak of something in the works that I'm really excited about... more soon! Holiday Card Pre-Sale starts today! The holiday season is almost upon us. Soon we'll be wrapping gifts, sending cards, traveling to visit loved ones, and just enjoying the winter months the only way we know how, with warmth, love and togetherness. 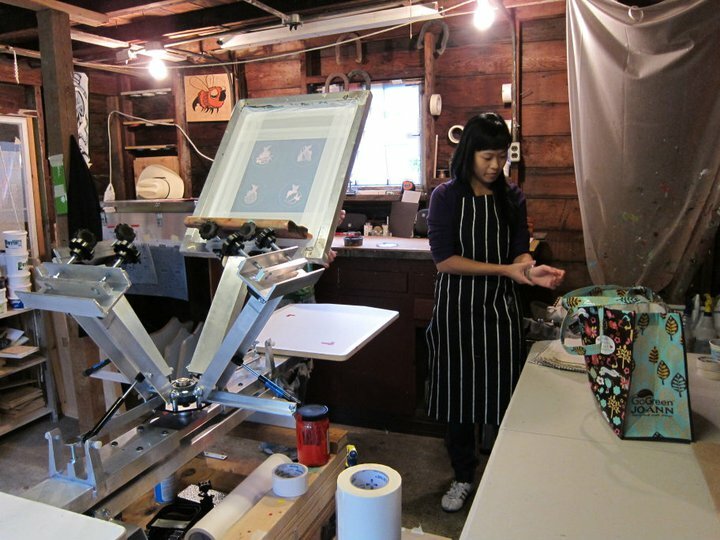 To help with your holiday gift list, I'm busy making new gift items and cards. With that in mind, I am very excited to offer my new Holiday Greeting cards available for pre-sale! 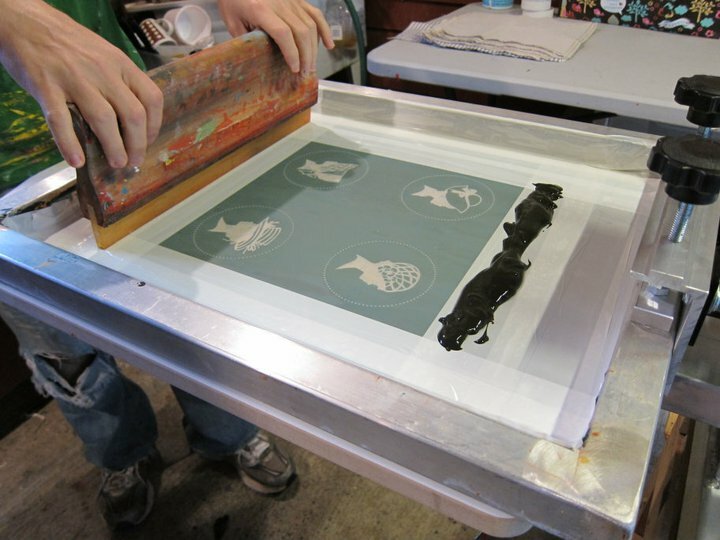 These two cards will be hand screen printed using water based inks on Mohawk 30% PCW recycled Via Vellum Kraft paper. The cards will feature an original illustrations of either a gaggle of adorable penguins lining up to wish you and yours Happy Holidays! or two adorably furry monster about to exchange gifts while wishing everyone a Merry Christmas! Each style is available in a 5, 10 or 25 card pack. Order your cards now via my Etsy.com shop and save up to 50%! The pre-sale starts today and runs till Nov 20th, after that their prices will increase. Cards will begin shipping on November 22nd via USPS first class mail. 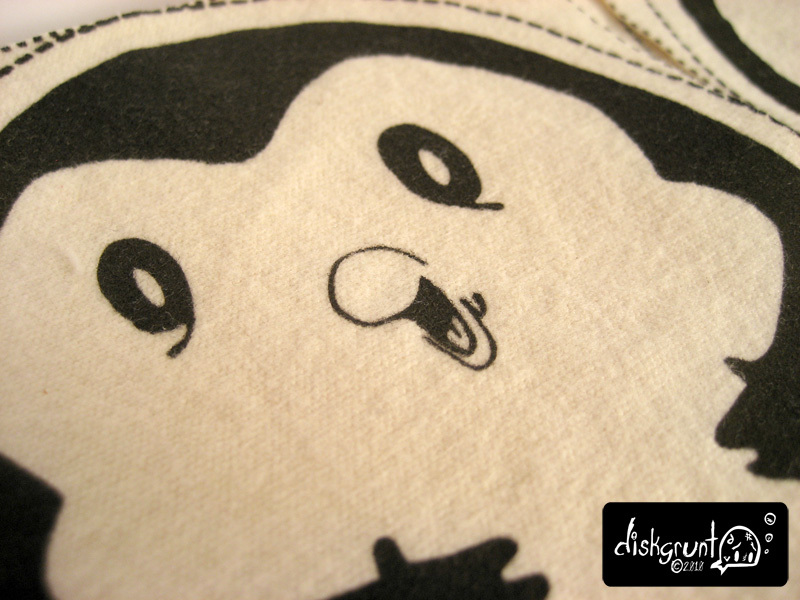 Stay tune to http://www.diskgrunt.etsy.com for more announcements and new gift items over the next couple of weeks! Thanks for all your support! 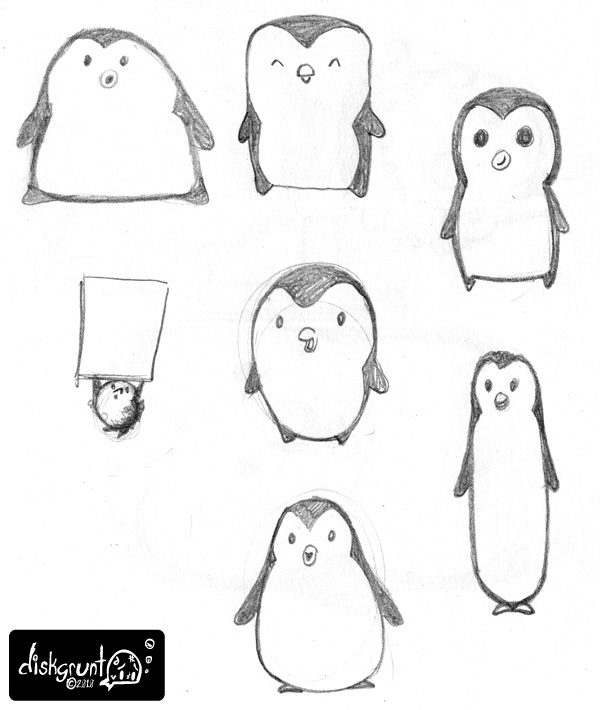 I'm working on something that involves a lot of little cute pengies ... 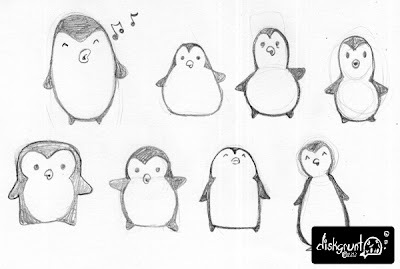 So I've been sketching a lot of them! 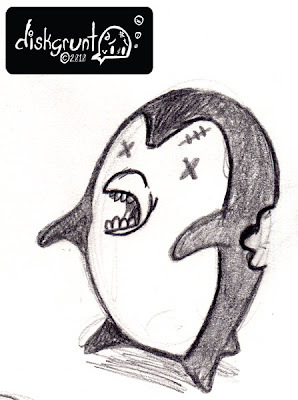 And while a little late, I give you Zombie Penguin... "Herrings..."